Tom Guthrie, a high school history teacher, is faced with raising two young sons after his wife leaves him. Maggie Jones, a fellow teacher, tries to provide comfort and support. Every Movie I've seen, ever. A story of redemption, healing and the power of hope. Low key and gentle story. Worth your time. This is a gentle, low key story about a pregnant 17 year old girl whose mother rejects her, and the people who rise to the occasion and care for her. It's very well cast with America Ferrera (the young actress from "Real Women Have Curves) as the girl, Aidan Quinn and Rachel Griffiths as the high school teachers and Megan Follows (Anne Shirley from the wonderful Sullivan Films production of "Anne of Green Gables") as Quinn's wife. It was lovely to see Marion Seldes on screen again too. The story is predictable, but the writing and acting is lovely. 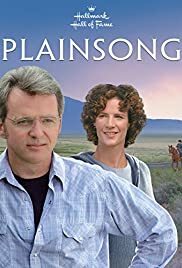 If you like gentle dramas and very real characters, this made for TV (Hallmark Hall of Fame) movie will be worth your time.